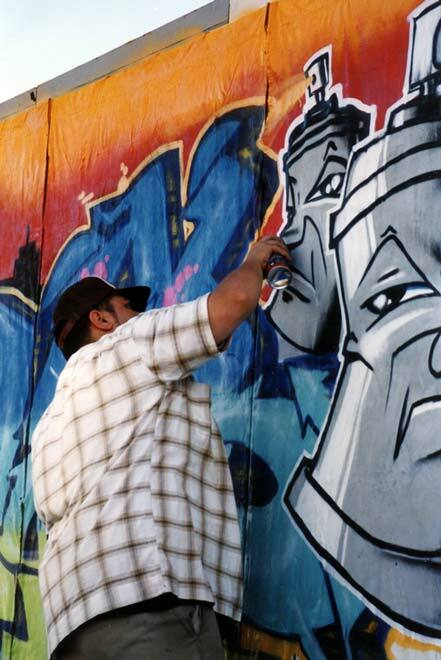 By 2004, when Juse 1 put this work of art up at Wellington's Waitangi Park, he and many others had gone far beyond spraypainting a signature on a wall. Their work had won over numerous local councils. The councils had previously seen graffiti as something to clean off walls, and the people who did it as vandals. Once their thinking changed, some councils put up hoardings for graffiti artists and taggers to use.